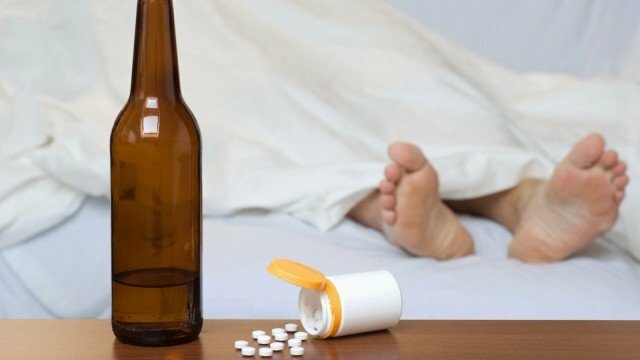 Ibuprofen and Alcohol: Dangerous combination? Hello Steemians, this time I want to talk about the interaction between alcohol and ibuprofen a very common combination in people who wake up with hangovers and want to alleviate their ailment. Is this combination really good for the body? Will it be true that it can favor conditions in the digestive system and potentiate the effects of alcohol?Then in this Post, we will talk in more detail about this topic. I hope you enjoy it. In this post, I have decided to talk about ibuprofen as it is one of the most known anti-inflammatory medicine, and used in relieving many discomforts such as headache, dental pain, muscle, among others. It may even be customary to use it to alleviate the effects of hangover. However, scientific research has reported that this medicine when mixed with alcohol can affect the gastric mucosa if is consumed routinely. The frequency with which alcohol and ibuprofen are mixed is determinant for the effects that this combination will have on health. Likewise, it should be taken into account if people occasionally ingest both substances, or if they make chronic use of both. In the first case, we should know that ibuprofen enhances the effects of alcohol. On the other hand, alcohol interferes with ibuprofen, both by increasing and decreasing its action. This is because both are metabolized by hepatic pathways. By having a metabolic pathway of the liver occupied by one of the two causes the metabolism of the other to accelerate or on the contrary, it is retarded. The risk of digestive system conditions such as digestive bleeding or gastritis may increase if the person consumes ibuprofen and alcohol regularly. Regular consumption of both compounds may increase the risk of suffering from these conditions. On the other hand, research indicates that those people who consume alcohol and ibuprofen regularly, already have the metabolic pathways sufficiently altered, so when consuming small amounts of alcohol, this substance does not interfere in its Metabolism, with minimal interaction. Other factors that should be taken into account in the mixture of these compounds are: if the degree of alcohol is high, its influence on the action of ibuprofen will be greater and if the people have a history of gastroduodenal ulcers, gastritis or Kidney or hepatic failure, they will be more susceptible to the consequences of this combination. The interaction between ibuprofen and alcohol has been considered a risk in many researches, mainly for people who consume these compounds chronically, since in the end they will end up damaging their digestive system. On the other hand, people who consume these compounds in a timely manner, have less risk of suffering from these types of conditions. Finally, take into account that if you consume ibuprofen before partying, you can end up boosting the effect of alcohol..
Kaufman, D. W., Kelly, J. P., Wiholm, B. E., Laszlo, A., Sheehan, J. E., Koff, R. S., & Shapiro, S. (1999). The risk of acute major upper gastrointestinal bleeding among users of aspirin and ibuprofen at various levels of alcohol consumption. The American journal of gastroenterology, 94(11), 3189-3196. Weathermon, R., & Crabb, D. W. (1999). 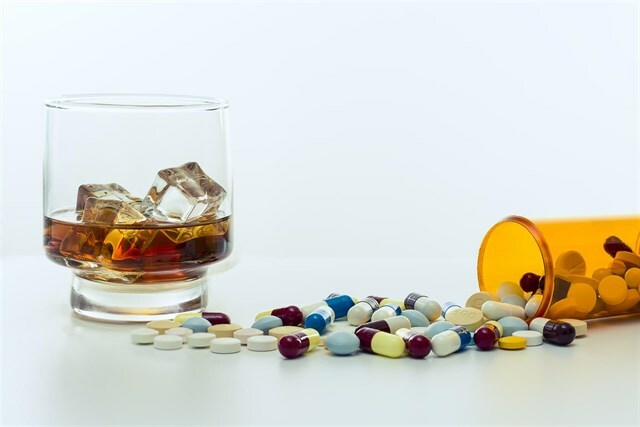 Alcohol and medication interactions. Alcohol research and health, 23(1), 40-54.